Keep walking along the Via Sacra. About 150 feet away, a path turns to the left. 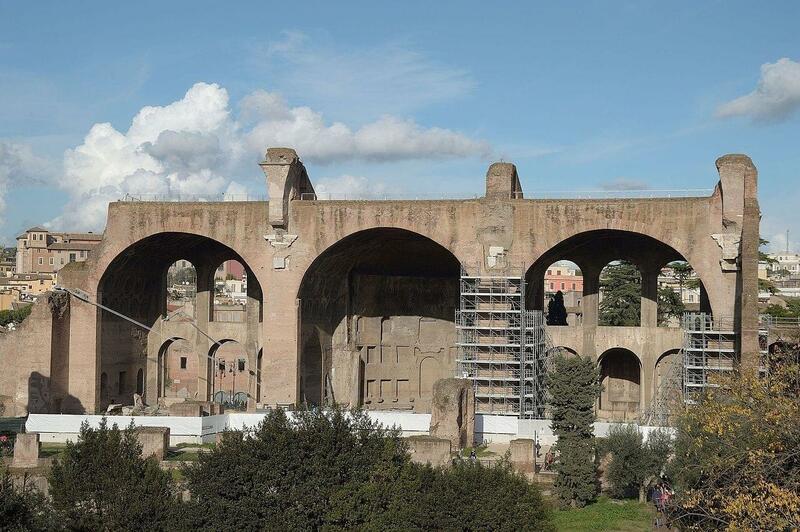 Leave the Via Sacra for a moment and walk up the path towards the remains of the gigantic Basilica of Maxentius.